Whitetail deer hunting is a popular deer-hunting category and is a favorite pastime for the US hunters. This sport is enjoying increasing popularity amongst older and newer hunting enthusiasts equally. This outdoor activity is in full swing across northern part of Europe and Northern America. 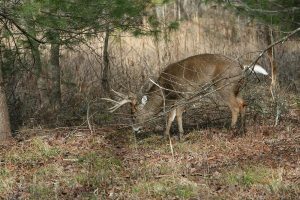 If you want accurate information about whitetail deer hunting tips, you must browse our articles. Other hunting branches face serious problems regarding severe government restrictions and hunting locations but hunting whitetail deer is fully encouraged by public and private organizations as they are found in plenty. However, in some areas, their population has increased so much that they have become a nuisance, hence, it is important to hunt these animals to keep their population regulated. Whitetail deer hunting tips can give you knowledge about the various strategies that should be adopted this animal. This popular outdoor sport needs all primal things that are normally needed to hunt an animal. Preparation, patience and strategy and a high determination level is necessary, as you may have to wait for a long time to get the wished results. For instance calling a deer using ‘deer calls’ can even take more than 1 hour before the deer actually comes. Hence, along with appropriate rifles, you should also have solid patience, only then you will able to come home with a white tailed deer. If you want success in your hunting sessions, then preparations are necessary. A small amount of noise such as a cough can scare them away, that is why, and it is essential that you remain still and quiet when hunting these animals. They have an excellent hearing capability and they also have good eyesight along with a highly developed sense of smell, hence hunting them can be a difficult task if the above precautions are not taken. Whitetail deer hunting tips can be easily learned within a month to guarantee you a beautiful whitetail deer. Before you start this activity, you need to scout the hunting area. You must know the terrain thoroughly, hence, you should go out during daytime and look for whitetail deer markings. These animals love rubbing their antlers on bark of trees, which is very easy to spot. Try to locate food and water resources in the area as these animals stay where they can easily find food. A GPS device can definitely help you to mark these areas. There are many books available in the market that can give you valuable whitetail deer hunting tips. It does not matter if you are hunting the deer with a rifle, shotgun or a bow. You need a lot of target practice, as it will definitely provide you an edge over other hunters. It is found that these animals are more active around sunrise, there you should get up early for hunting the animal. You can also use a tree stand or a tripod but make sure that you have a clear visibility around you to get a clear shot of the animal.